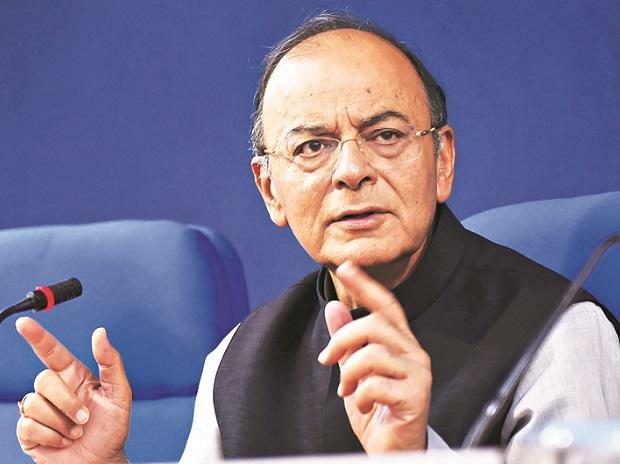 Defending electoral bonds, Finance Minister Arun Jaitley Sunday said they are aimed at checking the use of black money for funding elections, as was sought to be achieved through electoral trusts proposed during the UPA-II regime. Highlighting the problem of black money in elections, Jaitley said according to reports Rs 1,500 crore has been seized as a result of initiatives taken by the Election Commission and revenue authorities. "Is that a better option or the reformed system of all white money and improved, if not a perfect transparency? NGOs and commentators must look beyond their nose, he added. The searches are linked to suspected movement of hawala money during the ongoing poll season and tax evasion, they added. Jaitley said both the electoral trusts, proposed by the then finance minister Pranab Mukherjee in 2010, and electoral bonds assured total white money and improved transparency but masked the identity of the link between the donor and the party. "In another state, which only four months ago elected a new Government, 50,000 Government transfers became a revenue generating exercise. Reports have also indicated that an amount of about Rs.1500 crore has already been seized," Jaitley added.